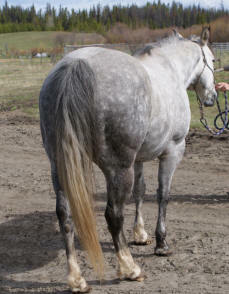 Blue Jay had a gorgeous flashy palomino filly (blaze and 4 socks) although turning grey out of Nifty TC. 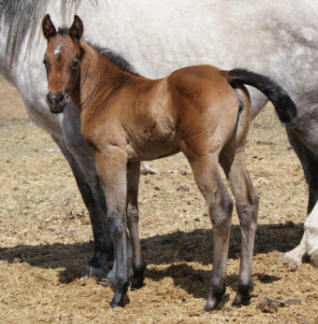 She is bred back to Nifty TC for another amazing foal in 2013. 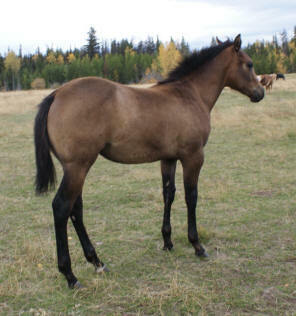 This 2012 filly our daughter has picked as her next horse. 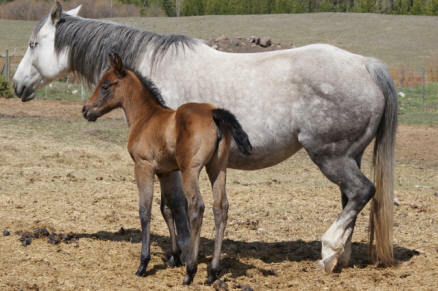 Bluejay with her 2012 filly, Adina just hours old. 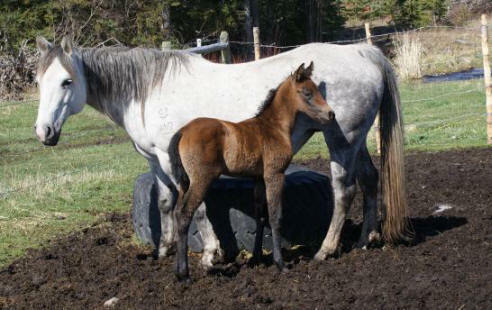 Blue Jay and her 2011 filly Blueberry at 5 days old. 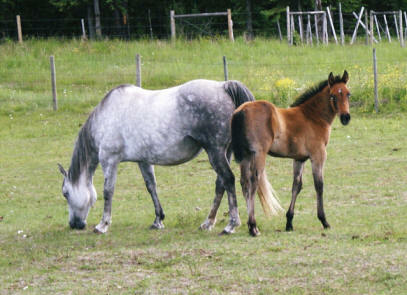 Blue Jay and Sundae, her 2010 filly at 1 week old and then in the pasture in June. 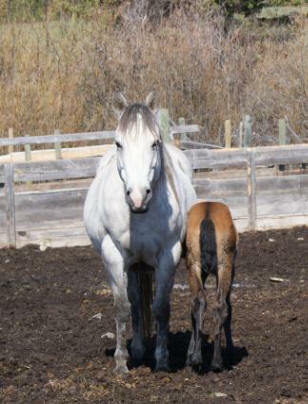 Blue Jay is an excellent mom. 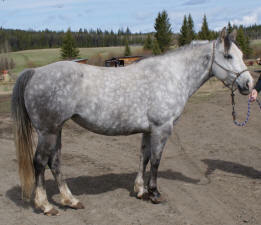 This mare is bred for reining, cutting, and ranch work. 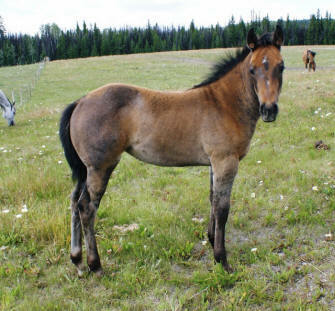 Crossed with Kid Lena, this foal is going to be a winner! 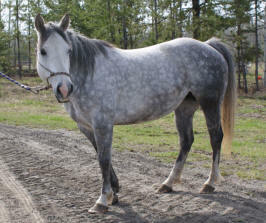 Blue Jay is a sweet even tempered mare. 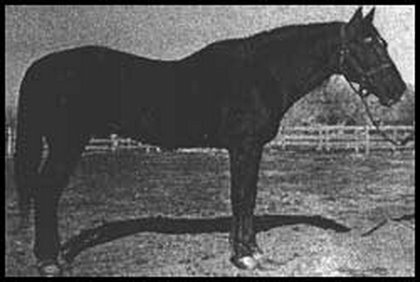 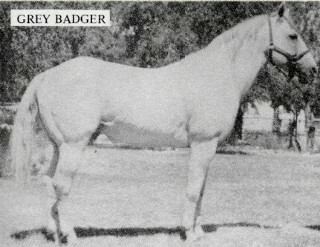 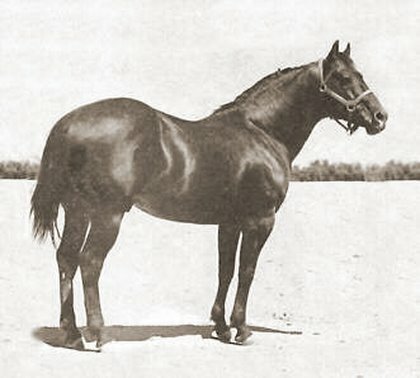 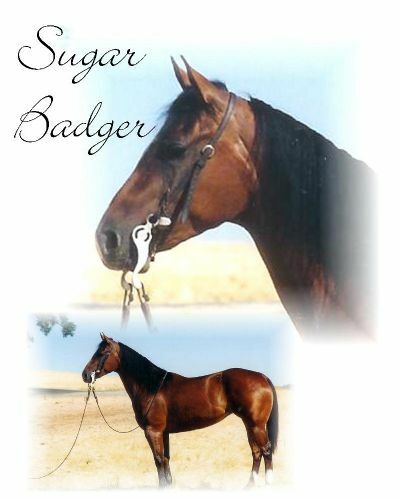 She is a daughter of reining horse Wattch Doctarsan, and a granddaughter of the great Solanos Peppy San (by Peppy San Badger). 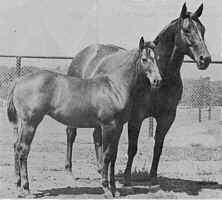 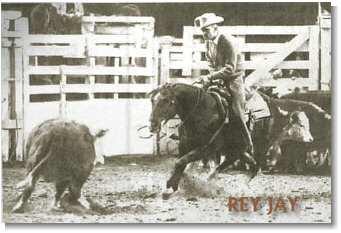 Her bloodlines also include greats like Doc Bar, King, Driftwood, Rey Jay, John Berry, Zantanon H, and more. 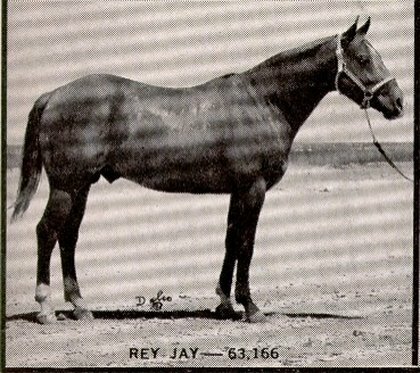 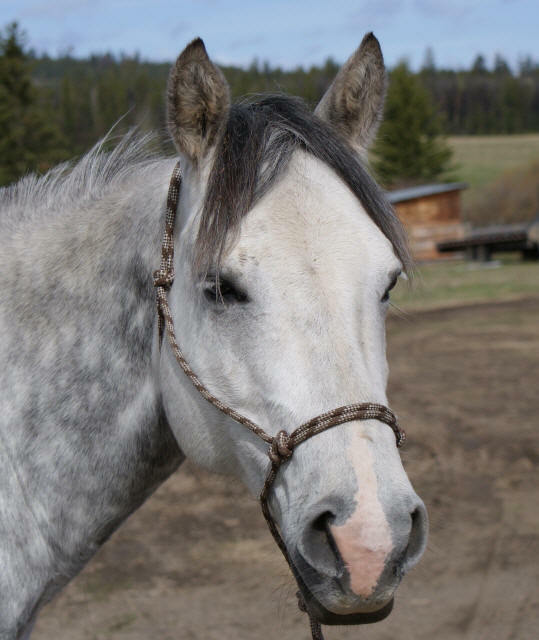 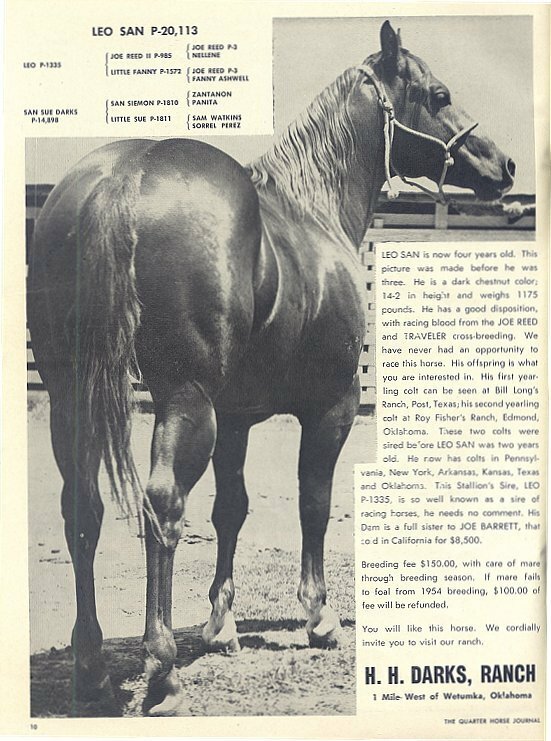 Blue Jay was an excellent ranch riding mare until an accident resulted in a severed tendon in her right front leg, making her a broodmare. 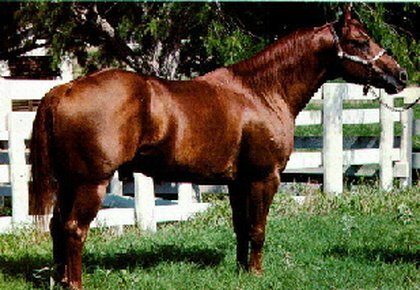 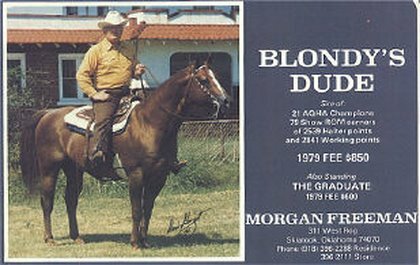 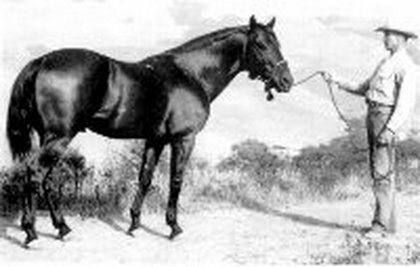 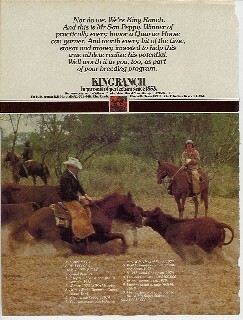 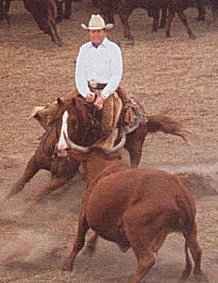 She was an awesome mare to ride, standing only about 14.2hh but stout and strong with good bone and feet.